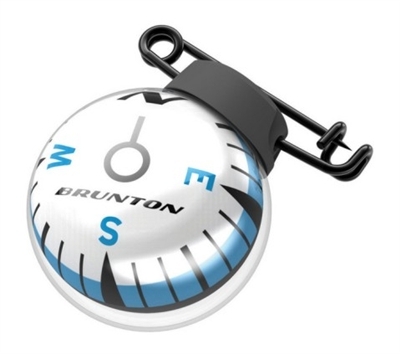 Brunton Globe Pin-On Ball Compass. Pin-on design allows hands-free ease of use. Stabilizing button. Measures 1″ x 1″ x 1″. Waterproof, rotating ball works from any angle. Cardinal points. Hang packaged.